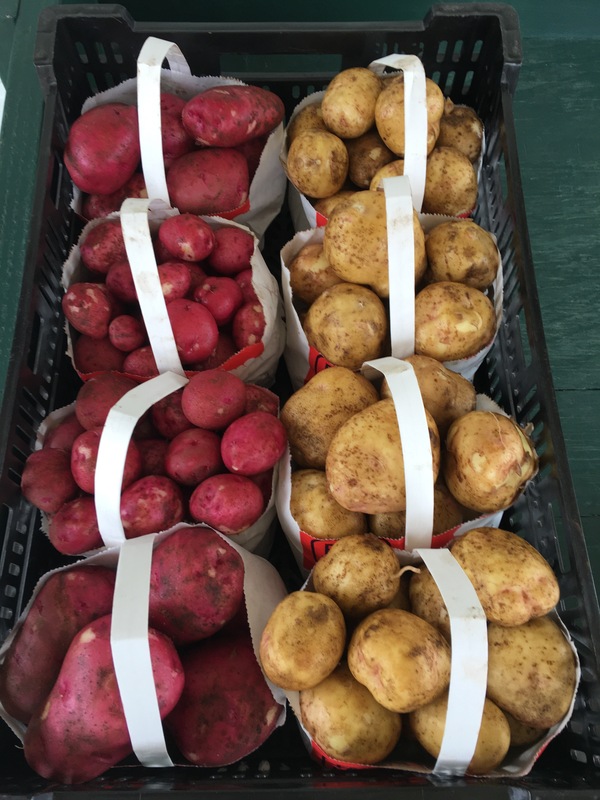 We have potatoes available at our roadside stand from late July until mid-September. We grow both Yukon Gold and a red variety and sell them in 4lb. bags.